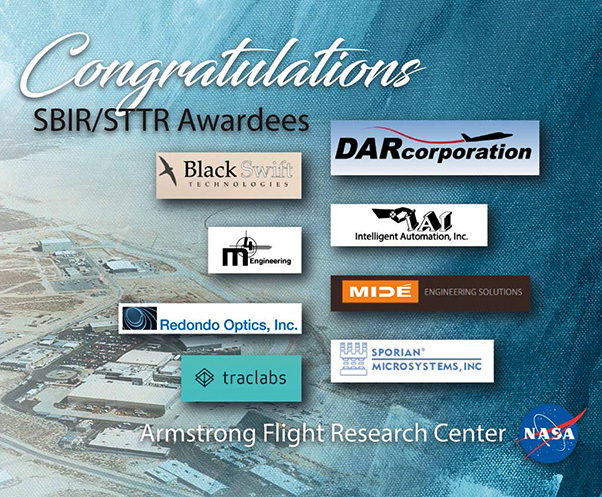 This graphic showcases the eight small businesses recently awarded partnerships with NASA Armstrong Flight Research Center to support the development of technologies in the areas of aeronautics and human space exploration and operations and space technology. NASA has selected 304 proposals from U.S. small businesses to advance research and technology in Phase I of its 2018 Small Business Innovation Research program and 44 proposals for the Small Business Technology Transfer program, totaling $43.5 million in awards. 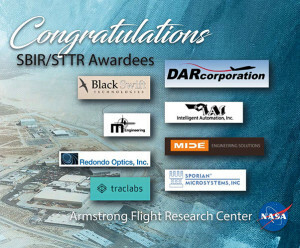 NASA’s Armstrong Flight Research Center at Edwards, Calif., received eight awards, totaling $1 million. These selections support NASA’s future space exploration and aviation missions, while also benefiting the U.S. economy. Making available a database system that allows the use of personal electronic devices like pads and notebooks. The system lets people develop automated testing procedures that are more efficient in verifying work-around aircraft. 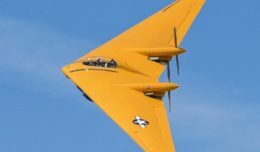 Developing autonomous subsystems for use on UAVs flying in controlled airspace. The SBIR and STTR programs are managed for STMD by NASA’s Ames Research Center in California’s Silicon Valley. STMD is responsible for developing the cross-cutting, pioneering new technologies and capabilities needed by the agency to achieve its current and future missions. For more information about the SBIR/STTR program, including the selection list, visit https://sbir.nasa.gov/. For more information about NASA’s investment in space technology, visit https://www.nasa.gov/spacetech.